This course was a special cross-discipline Honors research seminar that I took during my Fall semester. This course linked Honors Sociology with Honors Statistics to show how statistics are a major part of sociological research. 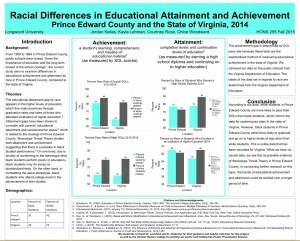 Like the Honors Sociology class, this class researched the far-reaching effects of the Prince Edward County school closings on the community, though in this course we used statistical data to support our hypothesis. We presented our findings at the Honors poster session, which was an exciting and educational experience. 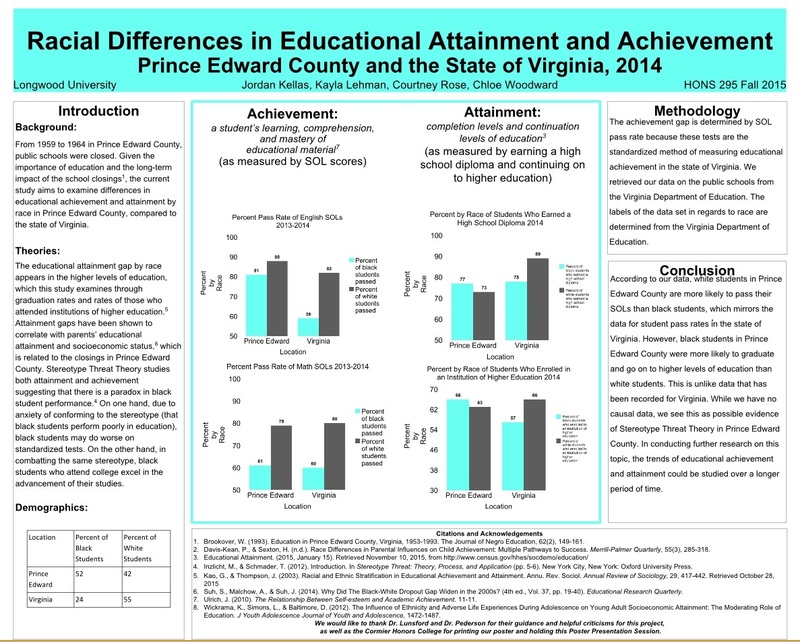 My group studied the differences in standardized test scores among whites and blacks in Prince Edward County and the state as a whole with some interesting results. To find out more about our study, check out our poster attached below.